OXFORD, Miss. 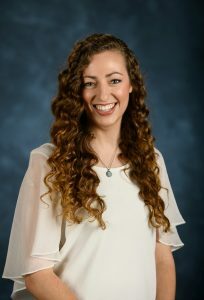 – Miranda Craft, a second-year student in the University of Mississippi School of Pharmacy, has been selected for the national role of student exchange officer with the American Pharmacists Association Academy of Student Pharmacists. Craft will be installed as part of the International Standing Committee at the APhA annual meeting March 22-25 in Seattle. The Jackson, Missouri, native will assist the current student exchange officer in her first year before assuming all duties in year two. Craft’s main responsibility will be to oversee the Student Exchange Program through the International Pharmaceutical Students’ Federation for all incoming and outgoing students to and from the United States. She also will serve as an official delegate at the summer’s IPSF World Congress meeting in South Korea, where future pharmacists can exchange ideas, network and learn from educational and scientific sessions. “The past few years, I have been blessed to have had opportunities to both study and do pharmaceutical research while abroad in Europe,” Craft said. “These opportunities have opened my eyes to a greater world perspective, especially within the field of pharmacy. Craft became an active voice for the global learning experience after traveling to Italy and France through various avenues. She hopes her new role will allow her to increase more students’ awareness of the benefits of studying abroad while giving her valuable experience in international affairs. This won’t be Craft’s first leadership position, as she is international vice president for the Ole Miss APhA-ASP chapter. Craft has a way of bringing the “power of curiosity” to any officer role, which positively affects the student body, said Lauren Bloodworth, clinical associate professor of pharmacy practice and APhA-ASP adviser. “Miranda has shown impressive leadership skills during her time with APhA-ASP,” Bloodworth said. “She has taken advantage of numerous study abroad programs and takes time out of her schedule to speak to our students about her amazing experiences.